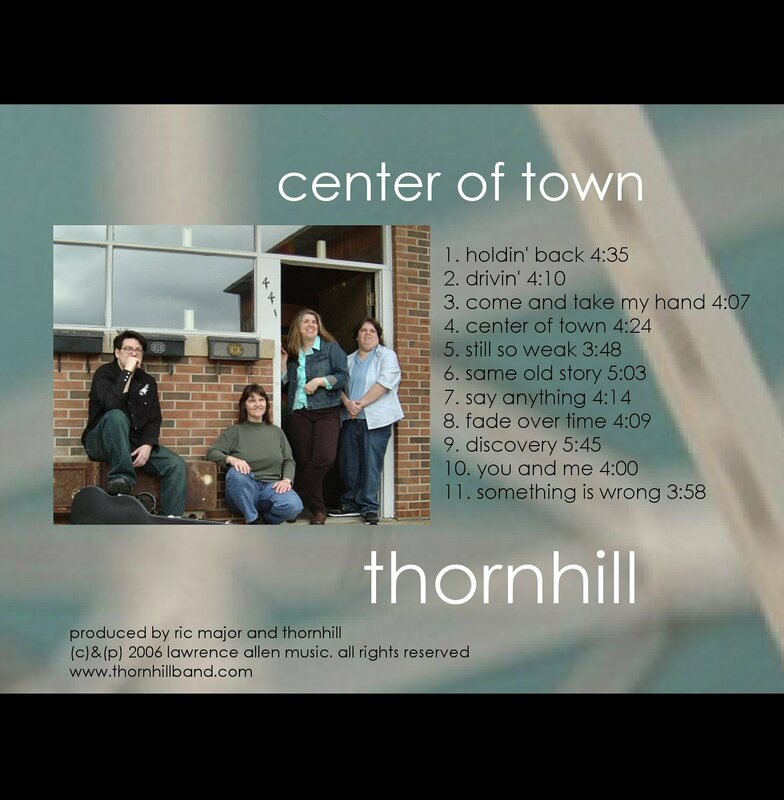 Thornhill is extremely proud to present its first cd, Center Of Town, featuring eleven tracks of Thornhill penned originals. 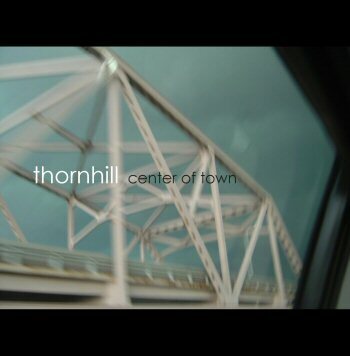 Our cd is now available for order online at cdbaby.com. You can also download any or all of the tracks from iTunes. Click on a thumbnail to see full sized art work from the cd. Click on a song title to see the lyrics. All words and music by Tina Thornhill. C & P 2006 Lawrence Allen Music. All rights reserved. Produced by Ric Major and Thornhill. 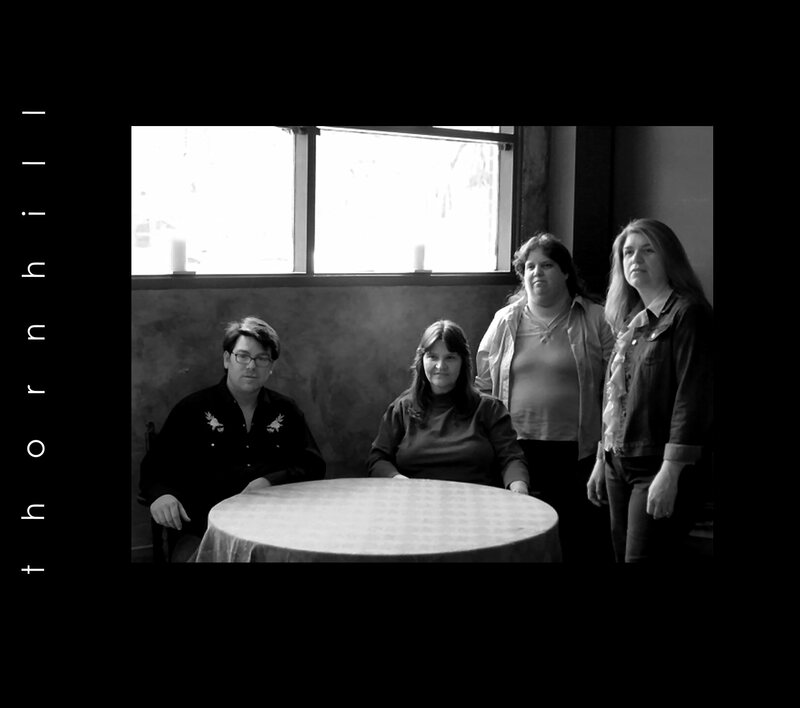 Recorded by Joe Tury at Red Room Studios, Williamsville, IL. Additional overdubs recorded by Ric Major at Middle Option Music, Springfield, IL. Mixing and mastering by Ric Major at Middle Option Music, Springfield, IL. If you're shopping here in Springfield, Illinois, Here are some fine places to find us too. No web site but they are a cool place in a cool town. Now you can listen to some clips from our new cd. Click here and crank it up! 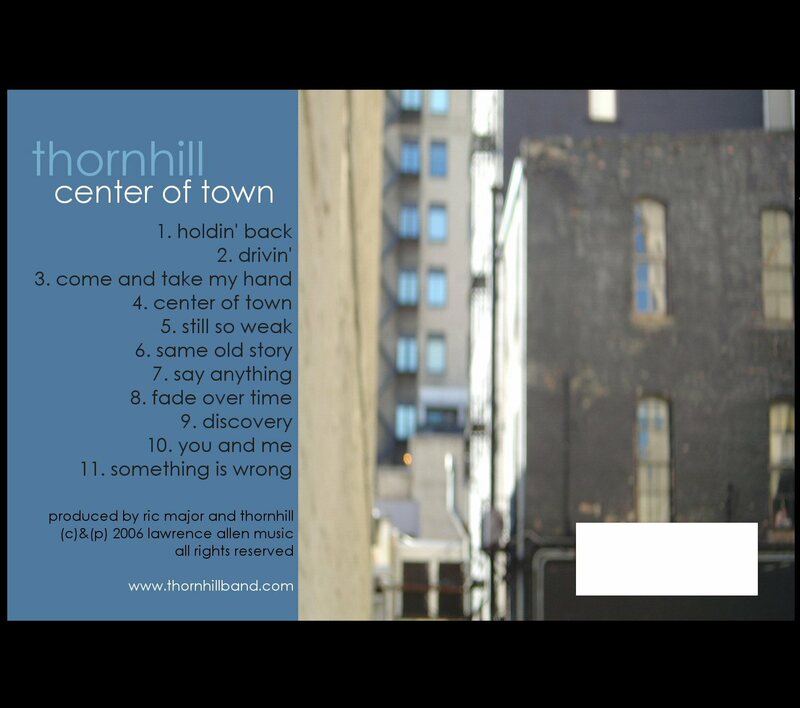 Click here to learn the history of some of the tracks on Center Of Town.